There are so many predictions being published and posted which sometimes might or might not be true. Every year end our inboxes get filled with various emails which claim to provide you with the accurate predictions for digital marketing. Many of the times they might be helpful as well but mostly they also mislead marketers. This blog talks about the predictions and trending buzz that is misleading which you should probably just ignore. While this is interesting, and voice discovery will ultimately be used as a marketing tool, we’re still many years away from effecting voice search in our marketing programs, outside of eCommerce. Google, Amazon, and Apple have not provided an easy way for voice optimization for top funnel content. This is and will continue to be, just a uniqueness next year. As long as implementation for these technologies remains minor there’s no need for brands to market on them. That said, for brands aiming gamers, these are viable channels to produce content on. We’re a long way away from AI causing many marketers to lose their jobs. AI, as a technology, is still in its infancy, and it’s much more likely to increase jobs in the near term. As a customer service tool, chatbots can work well by delivering productivities in answering customers questions. However, outside of customer service, there’s just not a lot of use cases that make much sense. Most of the marketing cases I’ve seen are pretty spammy. Next year will not be the year of the chatbot using marketer. While it’s true that interruptive and display advertising budgets are shifting to native and social advertising, overall spending continues to increase. At the same time, transparency is getting better and better – we’re also moving from a click-based economy to an engagement-based economy. This will lead to even further growth of online paid media spend in this category. Video is cool but still expensive, and difficult to scale. I know many industries talking heads like to push lower quality production using phones, and this is a viable approach for some brands. Usually, the numbers cited as proof that video is poised to be the number one form of online content by brands is based on bandwidth estimates – but just because video takes up much more bandwidth than written content, that doesn’t mean there’s more video being produced by brands. All one has to do to debunk this prediction is to go over to Scott Brinker’s Marketing Technology Landscape Supergraphic and compare the YoY growth of it. From 2016 to 2018 it more than doubled from around 3,500 to almost 7,000 vendors. There will be consolidation, but for every company that gets gobbled up, three more will emerge. There’s been too much investment (and continued investment) by many brands to kill off their newsrooms. From blogging to more advanced multimedia publishing, the brand newsroom is here to stay – whether it’s insourced or outsourced. Really? Whether the personas are strategically defined or loose categories it’s a very useful tool for most (if not all) marketing tactics. It doesn’t matter if those personas are defined by humans or AI, written down or just commonly known, marketing will still use them. The IoT is still in its infancy – and while novel, it’s very early for most brands to put together a content plan for the IoT. I think it’s more likely that marketers will embrace and use the data collected by these devices to enhance what they’re already doing before they start producing dedicated content for them. 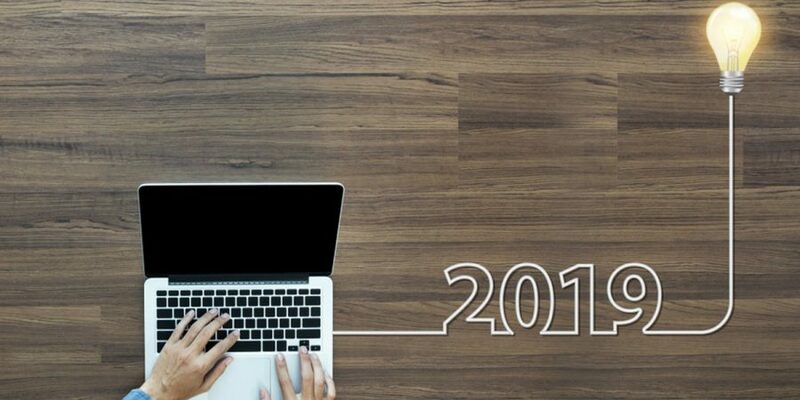 There it is folks – the 2019 digital marketing predictions you can go ahead and ignore. You likely don’t need a plan for voice search, AR/VR, chatbots, and the IoT, and you don’t have to kill off your personas and brand newsrooms, or dump written content in favor of video.